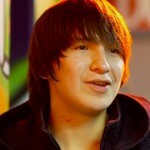 This website is owned by iHuman Youth Society of Edmonton, Alberta, Canada. 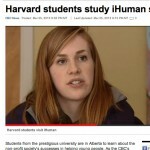 iHuman Youth Society is committed to protecting the privacy of the personal information you provide to us. In the event that you should choose to send iHuman Youth Society your email address(es), telephone number(s), address(es), and/or any personal information so that we may communicate with you, iHuman Youth Society will not sell or rent this information to anyone. Should a donor wish to discuss a refund of their donation they will be asked to please contact the development office so that the request can be addressed. As per Revenue Canada: in most cases, a registered charity cannot return a donor’s gift. At law, a gift transfers ownership of the money or other gifted property from the donor to the charity. Once the transfer is made, the charity is obliged to use the gift in carrying out its charitable purposes. On occasion, though, a charity may be obliged by law to return gifts to donors. This can happen, for instance, when a charity asks the public to contribute to a special project and later events make it impossible to carry out the project. The entire contents of this site are protected by copyright (all rights reserved). The downloading or printing out of individual pages and/or sections of the website is permitted provided that the copyright notes and other statutory proprietary designations are retained. If you download PDFs or any other data from the website, or copy it in any way, iHuman Youth Society retains all rights of ownership. The reproduction (in full or in part), transmission (by electronic or other means), modification, linking, or use of this website for public or commercial purposes is prohibited without the prior written consent of iHuman Youth Society. Although iHuman Youth Society has taken all reasonable care to ensure that the information contained in this website is accurate at the time of publication, iHuman Youth Society provides no assurance or guarantee, expressed or implied (including third-party liability), with regard to its accuracy, reliability, or completeness. iHuman Youth Society also gives no guarantee that the information may not be distorted as a result of technical malfunctions (incorrect transfer, technical inadequacies, disconnection, access by an unauthorized third party, etc.). Under no circumstances is iHuman Youth Society liable for any losses or direct, indirect, accidental, special, or consequential damages owing or related to this information or resulting from the use of this website. The activation of certain links to this website may, under certain circumstances, cause the user to leave the iHuman Youth Society website. iHuman Youth Society has not reviewed the sites linked to the iHuman Youth Society website and accepts no responsibility for the contents thereof or for any products, services, or other offers available on them. This also applies to websites that offer links to the iHuman Youth Society website. Furthermore, explicit prior authorization must always be obtained for a link leading from an external website to the iHuman Youth Society website. This policy was created to ensure that the iHuman Youth Society (iHuman) maintains high standards of integrity and stewardship in both its active fundraising and related communication activities and its acceptance of donations. The organization will make every possible effort to ensure that this policy is current, relevant and used consistently to achieve this objective. This policy sets out guidelines for due diligence in acceptance, receipting, documenting and reconciling donations received by iHuman. Adherence to this policy is paramount to ensure that the organization stands up to scrutiny by all its stakeholders. iHuman is a registered charity (CharitabIe Registration Number 873223168RR0001) and may accept charitable gifts based on the policies and procedures described in this document. All policies herein shall become effective upon approval by the Board of Directors. iHuman generally accepts charitable gifts in the form of cash, cheque, credit card, gifts-in-kind of goods and services, or deferred gifts which include will bequests, transfer of stock, life insurance policies, gift annuities and charitable remainder trusts. Ownership of all gifts resides with YWS whether they benefit the organization in general, or some purpose specified by the donor and agreed to by iHuman . iHuman prefers to receive unrestricted donations to pursue its greatest needs, but may accept restricted donations after a careful process of due diligence to ensure that such specific purposes are complementary to the overall long-term goals of the organization. iHuman may elect to accept or decline any unrestricted or restricted gift. On an annual basis, the volunteer development manager and the executive director, with the support of the fundraising committee and board, will review all upcoming funding needs and agree on the best ways to reach the fundraising goals of the organization. An annual fundraising plan will be developed, approved and implemented. Quarterly reviews will be undertaken by the fundraising committee, any fundraising person/volunteer and executive director to assess the success of the fundraising work to date, with an eye to enhancing and improving current and future fund development initiatives. The board of directors, fundraising committee, fundraising and communications volunteers and others as appropriate will be provided a copy of all policies and procedures related to fundraising activities to ensure compliance across the organization. All grant applications and letters of solicitation or acknowledgement sent by iHuman must be sent on iHuman letterhead, be reviewed by the executive director and be signed by the executive director or his/her designee. iHuman is a registered charity and therefore a trustee of charitable dollars. This policy recognizes the critical importance of ethical conduct in fundraising activities in order to safeguard the status of the organization as a registered charity and ensure iHuman stands up to scrutiny by all its stakeholders and the public. iHuman does not endorse any products and/or services of donors or sponsors. iHuman does not accept donations in cash or kind from companies that create products that cause physical harm to human beings or animals, as determined by the Board of Directors. iHuman will not use any unethical or unlawful techniques to solicit funds or sell products and services. Donations will not be accepted if they are deemed to have originated from unethical or unlawful activities as determined by the Board of Directors. iHuman will not engage in any activities that involve discriminatory practices against any individual or group based on gender, sexual orientation, religious or political affiliation, citizenship, age, race or ethnicity, record of offences, disability, income or family status. No valuable consideration or other privileges will be bestowed on a donor who could have the ability to exercise, directly or indirectly, control or significant influence over the organization. No benefit of any kind may be provided to the donor, or to anyone designated by the donor, except where the benefit is of nominal value (the lesser of $50 or 10%). iHuman will not engage outside professional fundraisers if fees are a significant portion of the anticipated funds raised as determined by the Board of Directors. 1. To be informed of the organization’s mission, of the way the organization intends to use donated resources, and its capacity to use donations effectively for their intended purposed. 3. To have access to the organization’s most recent audited financial statement. 6. To be assured that information about their donations is handled with respect and confidentiality to the extent provided by law. 7. To expect that all relationships with individuals representing the organization will be professional in nature. 11. To be assured that all online transactions and contributions occur through a safe, private and secure system that protects the donor’s personal information. 12. To be clearly informed if a contribution goes directly to iHuman or is held by, or transferred through, a third party. A restricted gift is defined as a gift that has a specific purpose specified by the donor and agreed to by iHuman upon acceptance. iHuman may accept and solicit restricted donations designated for a current restricted fund and approved special projects already included in the annual operating budget. If the nature of the restricted gift involves a long-term strategic association, a formal partnership agreement will be developed and signed to define the alliance. Documentation and financial accounting must be maintained to ensure easy verification of the use of restricted funds. Any new donor wishing to donate funds with external restrictions or for a specific purpose must outline the purpose and intent of their gift in writing. Such gifts may not be contradictory to iHuman’s mission and goals. The donor’s business and/or personal activities must be perceived to be socially responsible and not contradictory to the mission of iHuman. The gift may not result in unplanned higher operational costs or financial burden in order to actually administer/liquidate the gift. The gift may not be restricted to the benefit of an individual or group of specific clients. The gift must be reviewed by the executive director who will make a recommendation to the board to determine whether to accept the restricted donation. If the donation is rejected, the executive director will inform the donor immediately and will maintain a file of the decision and due diligence proceedings to support the decision. When the benefits and recognition offered by iHuman to a donor are considered to be material based on the guidelines of the CRA, iHuman and the contributor should enter into a formal Letter of Agreement with regard to benefits and recognition, and the contribution should be classified as a sponsorship. No tax receipt will be issued to acknowledge sponsorships. Gifts-in-kind goods are defined as any gift that is not cash or cheque, including securities. Gifts-in-kind services are free services needed to further the goals of the organization. Examples of such services include consulting services and advertising. These services cannot be receipted, as they do not represent a transfer of property. Where suppliers donate back cheques related to payment for services provided, they should be issued a receipt for the full amount of the cash donation. - The gift may not result in unplanned higher operational costs or financial burden in order to store/liquidate. - The gift must be an item that can be used within a reasonable period of time by either iHuman or the youth it serves. - The donor’s business and/or personal activities must be perceived to be socially responsible and not contradictory to the mission of iHuman. - The organization should have the freedom to make decisions regarding upgrading, maintenance and ultimate disposal of the gift. Gifts of a company’s inventory or product may be accepted, however such gifts are not eligible for a tax receipt. CRA considers such gifts as non-qualifying because the donor is able to deduct the cost of the contribution as a business expense. Other gifts-in-kind may be tax receipted only where iHuman is able to substantiate the value of the gift. All gifts over $1,000 must be appraised according to the guidelines provided by the CRA. iHuman will ensure that all gifts-in-kind donors receive proper acknowledgement and recognition. iHuman will issue official tax receipts fulfilling all of the requirements of the CRA. There is no regulation required the issuance of receipts within a particular time frame, however the organization will ensure that receipts are issued within 14 business days of the donation. The exception to this policy will be monthly or ongoing donors who have agreed to receive one receipt at year-end consolidating all gifts received within that year. Such receipts will be issued by January 20 of the following year. Each individual donation is to be entered into the Income Manager database and receipted through the same system. iHuman is responsible for guarding against the unauthorized use of official receipts, therefore access to the database will be limited and password protected. Donations will be processed and receipted by the fundraising staff person and signed by the executive director. All donors will receive timely and appropriate recognition for their gift. This recognition may include letters, telephone call, listing in publication, token gift, certificate, formal recognition event, etc. The fundraising committee, the fundraising staff person and the executive director are responsible for establishing and maintaining an ongoing recognition program. All recognition will be equitable in nature based on the amount of the gift.